The route for most students after high school includes attending a four-year university or community college. But that’s not the only route. In Deming, some high school students are ready for the workforce right after graduation. Michael Hernandez reports. Students in Deming High School’s Career and Technical Education, or CTE program, aren’t just talking shop, they’re trained for it as soon as they graduate. Students and faculty spoke to New Mexico’s Legislative Education Study Committee recently about the school’s vocational programs, where students can become industry-certified in jobs ranging from construction and engineering to health science and culinary arts. Senior David Velez has studied computer-aided design since he was a freshman and hopes to work with rockets at NASA. While he’s not in a CTE pathway, Velez said the knowledge he’s gained in computer-modeling software and 3D printing has helped prepare him for the aerospace industry. “You need to make things on a computer before you make them in the real world and that is the biggest aspect because I’m going to have to use that in the future with the career I’d like to go to. So, creating that basis so I can walk in and maybe already know a lot of what the software requires is the most important part,” Velez said. Velez said the classes he’s taken in calculus and physics combined with gaining hands-on experience has helped clear the way for his engineering career. “It showed me that I need to take those classes as well as learn through the engineering classes hands-on things; tools, 3D-printing, milling machines, laser cutters. I need to learn the interfaces that those require so that I already have a step up on the industry, so I know what they need me to do first,” Velez said. After three years in his program, carpentry teacher George Wertz said students can begin an apprenticeship and learn the trade through class and on-the-job experience. His first-year students learn basic woodworking skills while higher level classes teach students how to install doors and windows and even build houses. 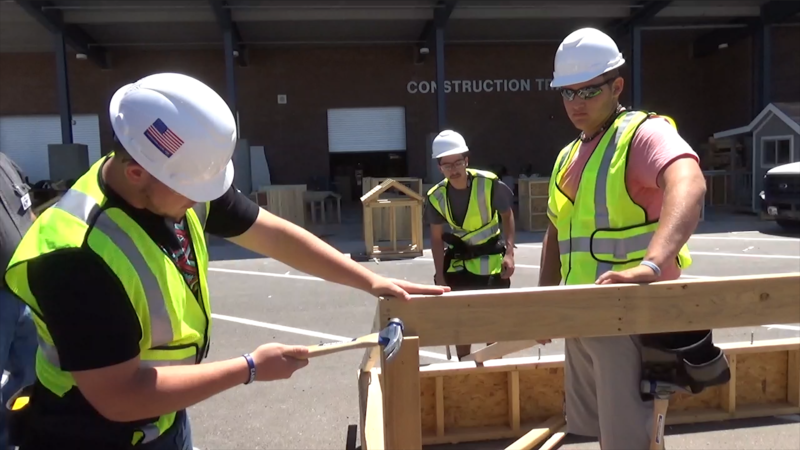 Construction is one of the many career fields Deming High School trains students for as part of its Career and Technical Education program. 2016 district data showed 51 percent of Deming’s CTE students are proficient in reading compared to 18 percent of non-CTE students, while 41 percent of students are proficient in math compared to 4 percent of students not in the program. CTE students also graduated nearly 15 percent more than those not enrolled. Deming High School has also received accolades for its CTE programs in national competition. It won its fourth straight state title this year in the school chapter for SkillsUSA, a national career and technical student organization and recently won state titles in math, engineering, science and culinary arts competitions. Democratic State Sen. Bill Soules said more New Mexico schools should provide the same level of support in CTE that Deming does. District officials said the school receives nearly $60,000 a year in federal funding. But as the cost of materials like lumber and metal go up, Wertz said so do the challenges of how much he can teach his students. He also said skilled trades are facing an aging workforce. 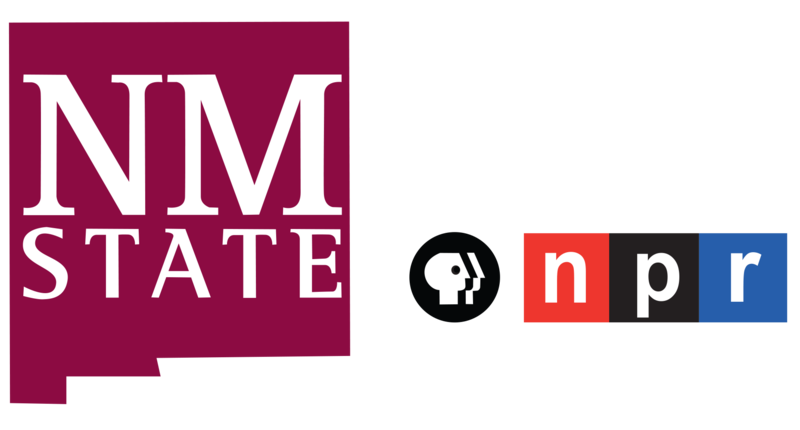 Wertz said students who take his class and choose to do something else will still have real world experience they can use later in life. He said while he doesn’t discourage students from attending college, he doesn’t encourage it either. As for Velez, he’s attending Embry-Riddle Aeronautical University in Prescott, Ariz. in the fall to study aerospace engineering. Velez said his CTE classes have been the highlight of his high school career. “They give me something to look forward to, something that I want to do and allowed me to work towards that goal. Doing those things is really what has encouraged me to become an engineer, has kept me interested and kept me wanting to do what I do and it’s really, really encouraging to have someone, especially a teacher that is interested in helping you get there,” Velez said. Whether college or trade, officials say encouraging students to follow their passion is what matters most.